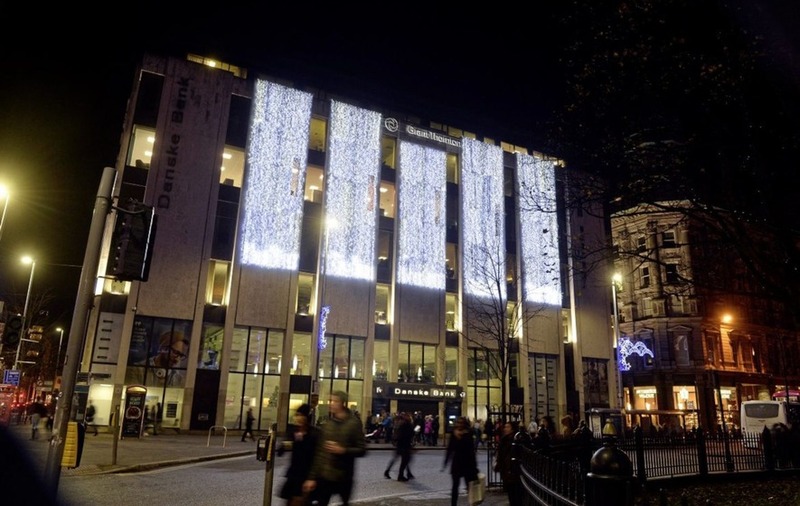 PROFESSIONAL services firm Grant Thornton has become the first external tenant at Danske Bank's iconic headquarters building in Belfast city centre. It has leased the entire third floor of the landmark Donegall Square West building, where it has spent more than £1 million transforming it into a state-of-the-art facility spanning around 13,000 sq feet. More than 200 people will today attend a formal opening of the new Grant Thornton base, which will feature a largely open plan office, with call booths and collaboration zones throughout, facilitating creativity, innovation and teamwork. 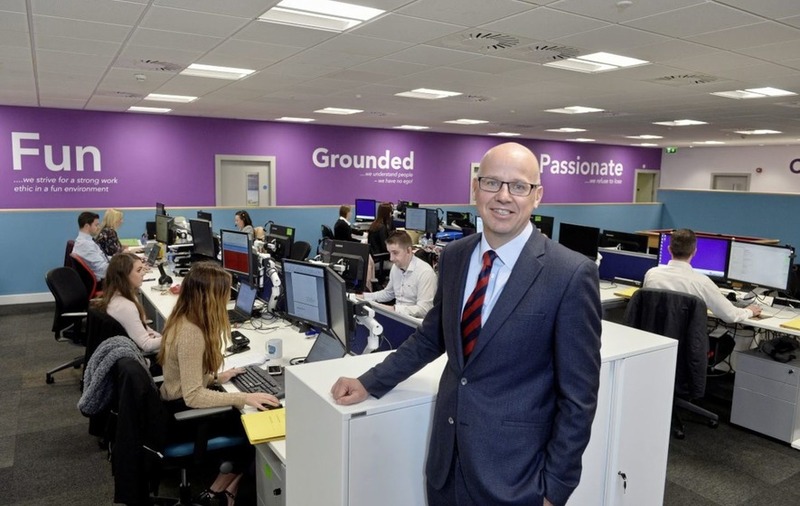 It will house more than 100 Grant Thornton staff, who've flitted from the firm's previous home at Clarence Street West, and it follows a period of unprecedented growth for the business advice firm. 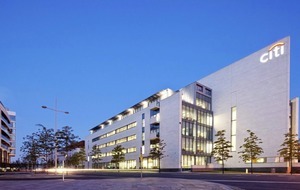 Northern Ireland managing partner Richard Gillan said: “The move from Clarence Street West may be a relatively short one geographically, but, symbolically, it is huge. "Transferring to such an iconic city centre landmark reflects our confidence in the future, and will provide a fitting and professional environment to help facilitate our continued expansion. 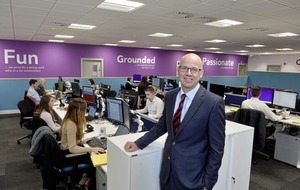 “Our Belfast office has enjoyed exponential growth across all business streams, with our workforce doubling and our revenues almost trebling in the last three years. Grant Thornton's new office was designed by Todd Architects, with the interior fit-out carried out by Graham. As well as the call booths and collaboration booths, the space includes 11 further meeting rooms, a relaxed client seating area and a library, while facilities for the staff include a pool table zone. Opening its premises to external tenants is a first for Danske, whose regional head Kevin Kingston said: "In the current business environment, banks across the UK are continuing to look at ways to reduce their cost bases. 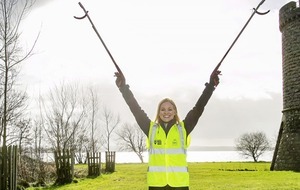 "We have taken an innovative approach to this challenge, with a rationale of seeking to implement change that does not negatively impact our customers. "We have a large portfolio of property assets and, as a prudent business, we need to make sure that they are utilised to the best advantage of the bank, our customers and our staff." Danske is understood to be seeking a tenant for one other floor within its head office, which was built in 1970 and became a listed building in 2016.